Computers Plus Repair has the expertise and experience to accurately diagnose your unique data recovery situation and provide the best possible path to restoring your files. We take pride in recovering data for our clients and for our ability to relieve the stress, panic and anxiety associated with data loss. If you’ve lost access to your data and you’ve been told by the Apple Store Genius Bar or Geek Squad to send it away to an out of state “clean room” data recovery firm, contact us first and you will likely save a few hundred dollars. Nearly 85% of the people that think they need “clean room” data recovery do not need that type of advanced data recovery service. Bring your hard drive or computer to Computers Plus Repair and let us take a look before you opt to send it out of state. If you are experiencing any of the symptoms of gradual hard drive failure, now is the time to back up your data (see our post on the signs of hard drive failure and tips for backing up & preventing data loss) and either self-diagnose the drive using a software utility, or bring it in to our shop for a free diagnosis. If the hard drive is failing, more often than not we can recover the data before it is too late. Then, if you choose, we can replace your hard drive with a new one, copy your data to the new drive, and get your computer up and running again within a day or two. We can also place your data onto an external hard drive or other media, depending on the amount of data to be recovered. We carry both internal and external hard drives in stock, as well as flash and DVD media. If the drive has already experienced catastrophic failure, and you determine that data recovery is worth the expense, it can be sent off to data recovery specialists. This can be somewhat expensive due to the advanced equipment and clean room required for disassembling hard drives and retrieving the data. This is why early identification of hard drive failure is important. We often refer more advanced data recovery situations to Gillware Data Recovery. They have served many of our customers with excellent results. Click the image for more info. If your hard drive is experiencing gradual hard drive failure, more often than not we can recover your data, and you can avoid the hassle and expense of advanced data recovery or data loss. 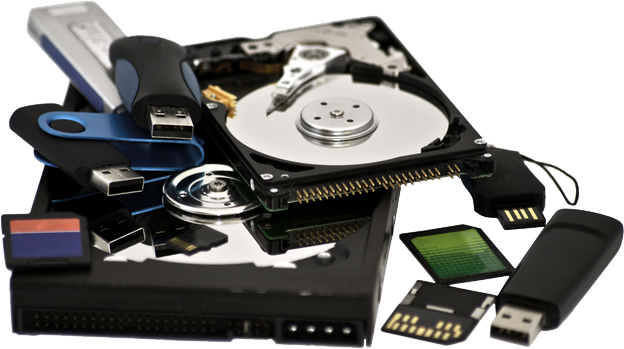 We perform data recovery in Lexington on a regular basis for customers who have encountered hard drive failure or have been unable to access files due to malware, viruses or data corruption.